In response to our campaign for better protection for snapping turtles, DEEP has proposed amending the current regulations concerning bag limits. The new draft regulation reduces the season limit (also the daily limit) from 30 to 10 adult snapping turtles. You can view the “Notice of Intent” on the DEEP website here. While greater restrictions are certainly welcome, this limit is still virtually unenforceable. Without data on snapping turtle population, we have to assume that they, like all other turtles, are threatened by habitat loss. Snapping turtles are the only wildlife species further threatened by “commercial taking.” (Note: Prior to our action in 2014, there were no limits on commercial trapping of snapping turtles.) Your voice will help us further reduce the commercial “taking” of these ancient creatures. You can comment on the proposed amendments as well as on the current regulations. 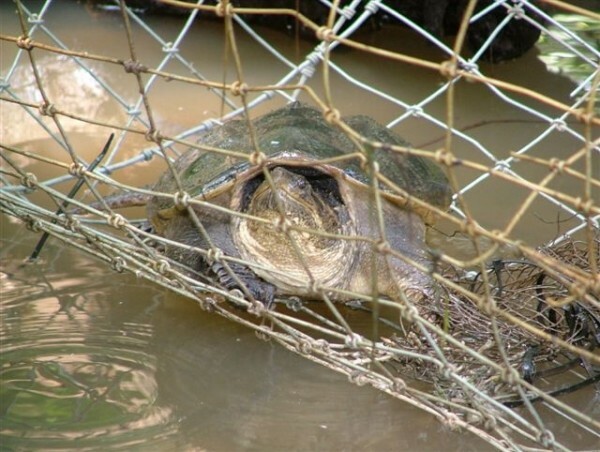 For example: Should Connecticut follow the example of New York that prohibits using turtle traps? In 2015, DEEP issued more than 450 permits to trap turtles. Even with the proposed reduction, this would allow 4,500 Connecticut turtles to be slaughtered or sold, mainly to Asian markets. The view of the Jonah Center is that, without study of the snapping turtle population and knowledge of existing threats, no commercial taking should be permitted. We need to demonstrate public support for this position. This is a rare opportunity to assist in conserving Connecticut’s rich turtle diversity and to keep our snapping turtles from heading down the road to extinction. Please, make your views known to the DEEP Wildlife Division before the end of the comment period on March 10, 2016. You may contact the Wildlife Division via email at DEEP.Wildlife@ct.gov Put “Commercial Trapping of Snapping Turtles” in the subject line or in the heading of your comments.